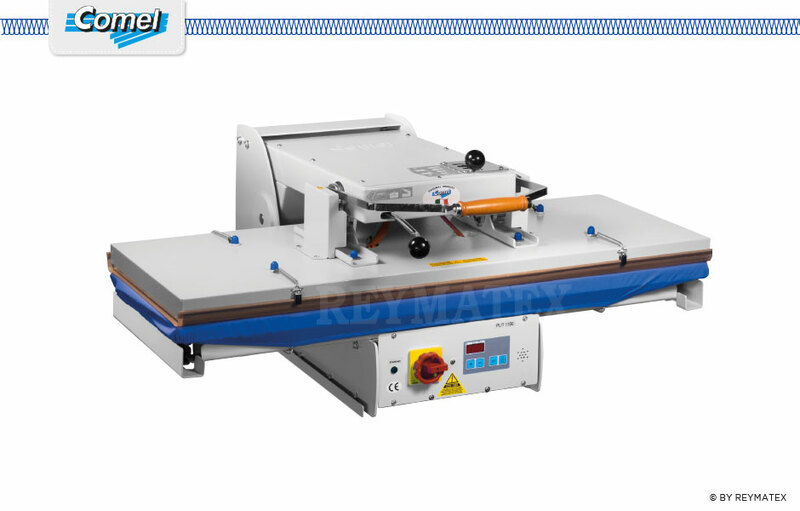 The thermoadhesive PL/T press, with its steel framework, is tough, safe, reliable and easy to be operated. A manual control makes possible to set the pressure of the top and the pressing time, whereas the temperature of the top is set through a digital thermostat. A safety device prevents the top from closing accidentally. The work surface is 110×40 cm.